Our product range includes a wide range of multritrack machine blades, pouch packaging machine blade, collar type machine blade, rotary cutter, perforation blade all type pouch paking machine and packaging machine blade. 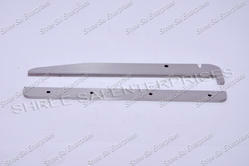 We started our business in the year 2001 with an aim to provide the best quality Zigzag Cutter. For the manufacturing of this cutter, our team uses optimum quality materials and pioneering technology in sync with the defined industry norms. This is used to cut the papers in zigzag styles. It is highly demanded by our valued clients for their effective usage in large scale industries. 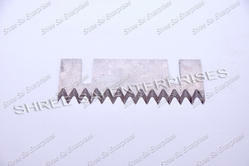 This Zigzag Cutter is available in diverse specifications at reasonable rates. We are an eminent name in the market as a leading manufacturer and exporter of high performing Pouch Packaging Machine Blade. This is highly praised due to their sturdy design and unmatched performance. Available in different models, this is suitable for general work such as scraping hides, butchering animals, cutting hides and cordage, cleaning fish, and other tasks. The offered Pouch Packaging Machine Blade is manufactured at our technically sound production unit using optimum quality materials under the guidance of our team. 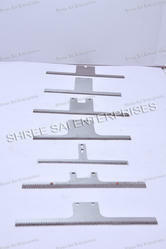 We are highly specialized in manufacturing custom Collar Type Machine Blade per sample and drawing. If you need your blades manufactured to your exact requirements, please contact us now to see how we can get you the quality paper cutting blades exceeding your requirements at a competitive price and we always deliver right on time as a true industry leader with an average lead time of two weeks or less at no charge to the customer for short lead times. We are an eminent name in the market as a leading manufacturer and exporter of high performing Rotary Cutter. This is highly praised due to their sturdy design and unmatched performance. Available in different models, this is suitable for general work such as scraping hides, butchering animals, cutting hides and cordage, cleaning fish, and other tasks. The offered Rotary Cutter is manufactured at our technically sound production unit using optimum quality materials under the guidance of our team. 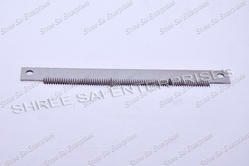 We are highly specialized in manufacturing custom Perforation Blade per sample and drawing. If you need your blades manufactured to your exact requirements, please contact us now to see how we can get you the quality paper cutting blades exceeding your requirements at a competitive price and we always deliver right on time as a true industry leader with an average lead time of two weeks or less at no charge to the customer for short lead times. 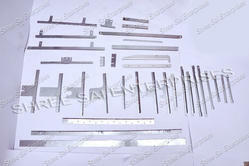 We are highly specialized in manufacturing custom Packaging Machine Blades per sample and drawing. If you need your blades manufactured to your exact requirements, please contact us now to see how we can get you the quality paper cutting blades exceeding your requirements at a competitive price and we always deliver right on time as a true industry leader with an average lead time of two weeks or less at no charge to the customer for short lead times. To establish a prominent existence in the industry, we are occupied in manufacturing and supplying FSS Machine Cutter. This blade is made by our capable manpower using only quality grade material. We test this blade on set quality parameters to give the best range. 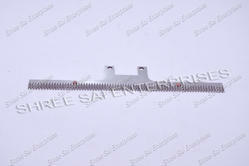 The offered product is heat treated to give extra firmness. This FSS Machine Cutter is used in paper industry for slitting and cutting paper. 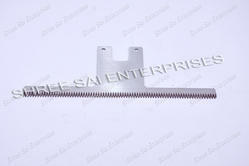 We provide this blade at cost effective rates. We manufacture Newspaper Machine Blade compliance with industry laid standards, the offered products are commonly used in pouch packaging machine. 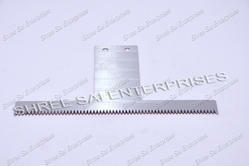 As per the requirements of our valuable customers, these blades can be custom designed. We are an eminent name in the market as a leading manufacturer and exporter of high performing Pouch Packaging Machine Cutter. This is highly praised due to their sturdy design and unmatched performance. Available in different models, this is suitable for general work such as scraping hides, butchering animals, cutting hides and cordage, cleaning fish, and other tasks. The offered Pouch Packaging Machine Cutter is manufactured at our technically sound production unit using optimum quality materials under the guidance of our team. To establish a prominent existence in the industry, we are occupied in manufacturing and supplying Pneumatic Pouch Packaging Machine Blade. This blade is made by our capable manpower using only quality grade material. We test this blade on set quality parameters to give the best range. 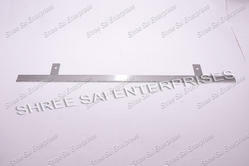 The offered product is heat treated to give extra firmness. This Pneumatic Pouch Packaging Machine Blade is used in paper industry for slitting and cutting paper. 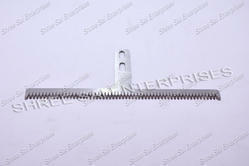 We provide this blade at cost effective rates. he long-term cooperation with many well -know overseas and domestic corrugated cardboard enterprise is witnessed Shree Sai Enterprises precision's advanced techniques. We use the original raw material WC model through the precision Packing Machine Cutter/Blades/Knives processing and special mirror treatment as great performance. We are highly acclaimed name in the industry engaged in offering an outstanding range of Wrapping Knives. We use state-of-the-art heat treating processes to manufacture these knives resulting in exceptional flatness and straightness giving you consistently reliable knives. These are best for crafts, scrap booking and rubber stamping. 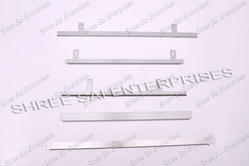 These are also used in the poultry processing industry. 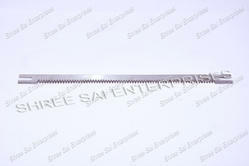 We assure timely delivery of these Wrapping Knives at industry leading prices with no hassle.